A fun activity for all the Family. 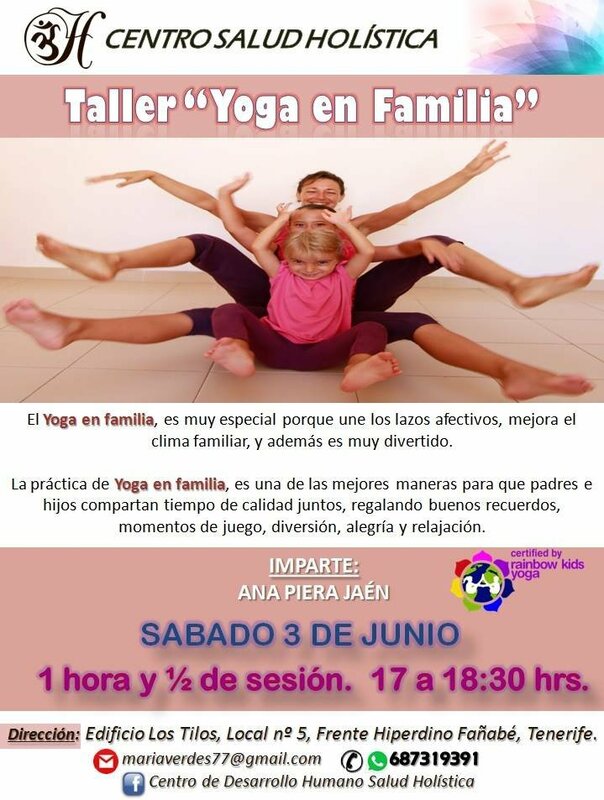 The Holistic Health Centre in Fanabe are offering a special Family Yoga workshop to give parents the chance for parents to spend quality time with their children and learn something new together. The session will take place on Saturday 3rd June from 5pm until 6.30pm. For more info contact mariaverdes77@gmail.com. The centre is in Edif. Los Tilos, local 5, in front of hiperdino in Fañabé town.